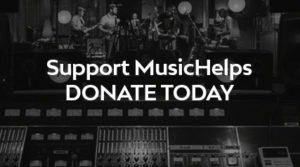 This is the official website of MusicHelps. By accessing our site you agree to our terms of access listed below (as updated from time to time). The content on our site is for information only. While we try to ensure that the content of our site is free from error, available to you when you need it, and free from viruses and unauthorised access, we do not warrant that this will always be the case, nor do we warrant the site’s accuracy, adequacy, completeness or its suitability for your intended use. The content on our site is not intended to be a substitute for commercial judgement or professional advice, and you should not act in reliance upon any of our site’s content, without first obtaining professional advice relevant to your circumstances. When transmitting your personal information over the Internet, you should remember that the Internet is not a secure environment. Any personal information you transmit to MusicHelps may be used by MusicHelps to provide information to you about MusicHelps and its activities. Information you transmit to us to facilitate communication or access pertaining to our Backline services for music people will be kept in confidence and only used by MusicHelps and its partners to facilitate communication and supply of these services to you. We do not sell, publish or give away your information. Information about you provided to us can be used by us or our suppliers to carry out our business. Our policy regarding the privacy of your information is set out below. We grant you a non-transferable, non-exclusive licence to access this site and the information contained within the site. You will not use this site for any purpose which is illegal, objectionable, defamatory or which could potentially damage the reputation of MusicHelps, or reverse engineer, decompile or attempt to reverse engineer or decompile this site. Unless otherwise specified, the content on this site has been prepared in accordance with New Zealand law for the supply of products and services to persons resident in New Zealand only. The content of this site and any contracts formed with MusicHelps arising out of this site are governed by New Zealand law and the non-exclusive jurisdiction of the New Zealand Courts. Please contact MusicHelps for prior permission if you wish to create a hypertext link to any page on this site. If you create a link to our site, you remain fully responsible for any consequences of that link, whether direct or indirect and you will indemnify MusicHelps against all loss, damage, liability, costs or expense arising from or in connection with the link, or arising from your inappropriate or malicious use of the site. MusicHelps accepts no responsibility or liability in relation to any content on other websites that are not under our direct control. ‘MusicHelps’ and ‘Foundation’ means The NZ Music Foundation Trust 2011.
all people under the age of 18 years where the prize incorporates air travel, alcohol or entrance to licensed premises or any other element which would be illegal to supply to a person under the age of 18 years. These Promotion or Competition Rules (‘the Rules’) apply to all MusicHelps Promotions or Competitions (collectively ‘the Promotion’). The Rules may change from time to time. MusicHelps reserves the right to exclude any person from participating in the Promotion on reasonable grounds. MusicHelps reserves the right to refuse to award any prize to an entrant who MusicHelps decides (in its sole discretion) has violated the Rules, gained unfair advantage in participating in the promotion or won using fraudulent means. By participating, entrants grant MusicHelps exclusive permission to use their names, characters, photographs, voices and likeness in connection with the Promotion and for future promotion and marketing purposes and waive any claims to royalty, right or remuneration for such use. The Winner will be notified by email, phone (voice or text) or mail and must be available for the preparation of all publicity that may be required by MusicHelps. Where attempts to contact the Winner fail (eg when the Winner cannot be contacted by phone after three attempts or mail sent is returned) the Judge will select another winner. If, after successful notification, the prize is not collected within two months of being announced it will be regarded as forfeit. (Note: 3 attempts to contact will include individual calls to any numbers provided at the time of entry. The prize is not redeemable for cash or transferable. No other family members, friends, office associates or any other person will be able to participate on the Winner’s behalf. In the event that the prize specified in the Promotion becomes unavailable for any reason the Promoter may substitute a prize of like or equal value. Where the Winner is required to claim the prize in person and they must provide proper identification (eg driver’s licence, passport, birth certificate). If the Winner is under the age of 18 years their parent or guardian must give their prior written consent to the award of the prize. The Winner takes the prize entirely at his/her own risk and indemnifies MusicHelps in respect of any claim for any accident, injury, property damage or loss of life that may occur in connection with the prize. MusicHelps reserves the right to amend, vary, extend or discontinue a Promotion at any stage, for any reason. MusicHelps takes no responsibility for any inability to enter, complete, continue or conclude the Promotion due to equipment or technical malfunction, busy lines, inadvertent disconnection, texts with a misspelt keyword, texts to an incorrect shortcode, Acts of God or otherwise. To the fullest extent permitted by law MusicHelps will not be liable for any loss or damage whatsoever (including but not limited to direct or consequential loss) or for personal injury as a result of Promotion entry or winning the Promotion prize. 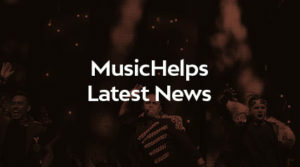 Where the prize is to be supplied by an entity outside MusicHelps control and that entity fails, for whatever reason, to supply the prize, MusicHelps has no responsibility for the provision of the prize and is not obliged to provide an alternative prize or to take legal action to require the prize supplier to provide the prize. MusicHelps reserves the right to add, withdraw or substitute artists and/or vary advertised programmes, prices, seating arrangements and audience capacity. Any use of MusicHelps logo as well as designs found on the ticket and website must only be made after being granted prior written consent of MusicHelps or appropriate copyright holder. All persons attending a MusicHelps event, including children, must hold a valid ticket. There are no refunds or exchanges on any ticket or service fee (including but not limited to where a ticket has been lost, stolen, damaged or destroyed, or where the ticket holder’s personal circumstances have changed) except as required by applicable laws in the place of purchase. Ticket or service fees charged by MusicHelps in respect of each ticket are non-refundable, subject to your rights and remedies under the Consumer Guarantees Act 1993 (as amended from time to time). Nothing in this section limits or restricts any rights or remedies which the ticket holder may have at law. MusicHelps reserves the right to refuse admission or require the ticket holder to leave the venues, without compensation, in circumstances where MusicHelps considers it has cause, including, but not limited to, where MusicHelps considers the ticket holder has breached these Terms & Conditions or any law, regulation or rules applying to the event or venue. Entry may be refused if tickets are damaged or defaced in any way or are not purchased from MusicHelps or any other authorised points of sale. Late arrival may result in non-admittance until a suitable break in the programme or non-admittance to the Event. The use of cameras, video and audio recorders, mobile telephones and pagers may not be permitted in certain events. All pagers and mobile phones, if permitted, must be turned off before entry. The ticket holder must comply with all security requirements of MusicHelps and the venue as a condition of admission to the event, which may include but not be limited to a search of a person and/or their possessions (including bags and clothing) and/or confiscation of prohibited items, at the time of entry to the venue. None of the following items may be admitted in the venue: beverages, glass bottles or food (unless required for health reasons) except where purchased at the venue. If concerned, please consult the venue. MusicHelps accepts no responsibility for any confiscated items. Your ticket may not, without the prior written consent of MusicHelps, be resold at a premium or used for advertising, promotion or other commercial purposes (including competitions, lottery prizes, fundraising events and trade promotions) or to enhance the demand for other goods or services. All children 12 and under must be accompanied by a responsible adult. Unless it is a designated children’s event, MusicHelps reserves the right to refuse entry to children under three years of age at its discretion. When collecting or presenting concession tickets or when entering events with an age restriction in place, appropriate identification must be shown. If suitable identification is not shown, you may be refused entry to the event. In the event that General Admission tickets are lost in the post, they cannot be reprinted due to the potential for duplication or fraud. Credit card details are processed via an immediate exchange of information between MusicHelps via selected payment system intermediaries and the credit card user’s bank. The Foundation does not store your credit card information in any of our servers or systems. All ticket prices are shown in New Zealand dollars unless otherwise stated.